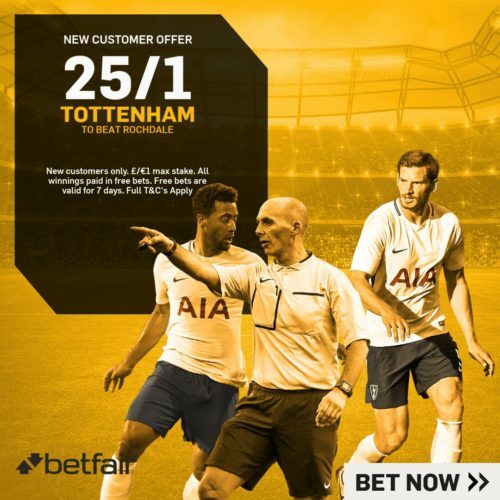 In-form Tottenham will look to avoid an FA Cup shock and book their place in the last eight of the competition as they travel to Rochdale, of League One, in the 5th Round. This will be the first ever competitive meeting between the two clubs. Rochdale have defeated Bromley, Slough, Doncaster Rovers and Millwall to reach this stage while Spurs have defeated both AFC Wimbledon and Newport County. Rochdale sit at the foot of the League One table but have four games in hand over second-from-bottom Bury, whom they trail by one point, and five over Northampton – 11 points ahead – in safety. Keith Hill’s side have only two league wins from their last 13 and with just 17 points from their 12 home matches, they have the second worst home record in the division. Spurs sit fifth in the standings but are only four points behind second-placed Manchester United in a congested race for the top four. Tottenham are unbeaten in their last 14 outings in all competitions and have won 11 of their last 17 matches – but just three of their last seven. However, two of their recent draws – both 2-2 away to Liverpool and Juventus – have provided massive encouragement after respective wins over Manchester United and Arsenal. The Yorkshire club are set to start with their usual 3-5-2 formation with Stephen Humphrys and Ian Henderson – who netted twice against Bristol Rovers on Tuesday – set to lead the way. Spurs have a fully-fit squad with no injuries or suspensions. Lucas Moura may be handed his first start after joining from Paris Saint-Germain last month. 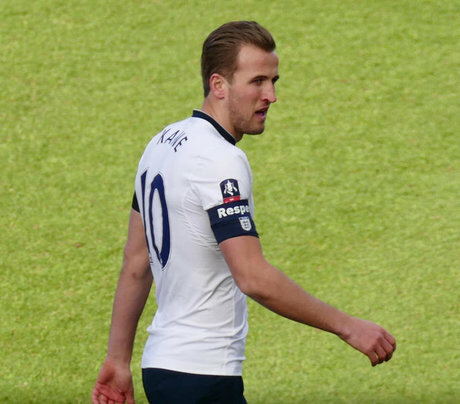 A host of changes may be made though for rotation purposes by Mauricio Pochettino. As much as every neutral would like to see a cup upset, it’s highly improbable that one will arrive in Yorkshire on Sunday. Spurs boss Pochettino has complained about the state of the home side’s pitch but that levelled aside, it is hard to see reason for optimism for the hosts. They have the division’s second bluntest attack – with just 29 goals in 28 outings – and are against a Spurs side full of confidence. Furthermore, a scare at Newport in the last round will sharpen Spurs minds and they are now familiar with these games having also eliminated AFC Wimbledon. However, this will not be a high scoring game – the home side’s attacking problems are documented while the pitch makes any free-flowing attacking football from the visitors unlikely. They toiled against Newport and needed a replay while a busy fixture schedule means rotation and tired legs are possible, but a low-scoring away win is expected.